Kept in the San Diego Museum of Art, San Diego, CA, USA. 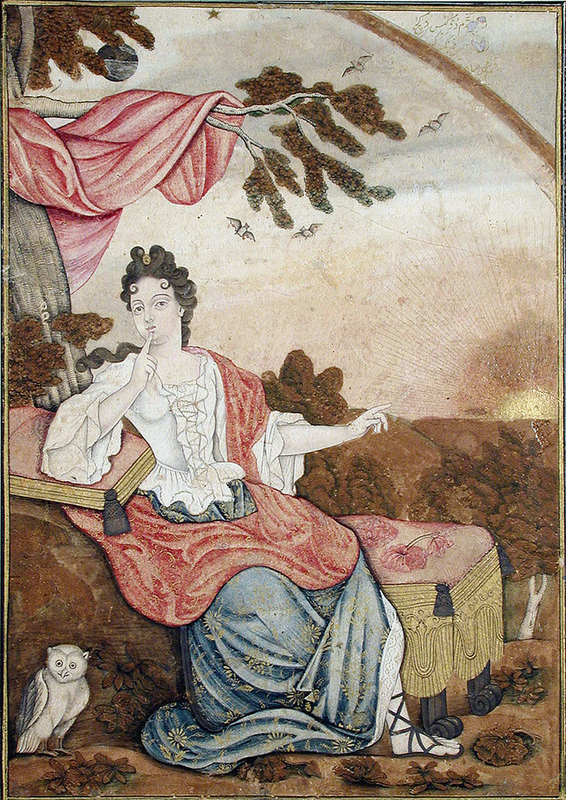 Here is a rare painting from Safavid Iran which displays a European lady dressed in style of Queen Anne of England. The lady in the painting has striking facial similarities with Queen Anne. I am not sure why there is an owl in this painting. This painting is kept in the San Diego Museum of Art in California that houses a broad collection with particular strength in Spanish art. 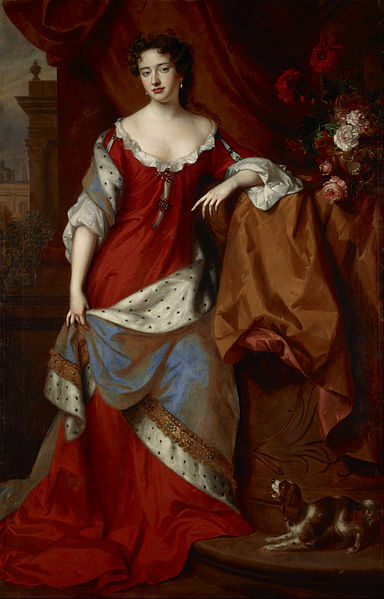 Queen Anne (6 February 1665 – 1 August 1714) ascended the thrones of England, Scotland and Ireland on 8 March 1702. On 1 May 1707, under the Act of Union, two of her realms, the kingdoms of England and Scotland, united as a single sovereign state: the united kingdom of Great Britain. The second image is a portrait of Queen Anne.